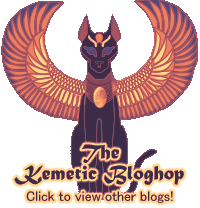 This week’s Kemetic Roundtable is about our journeys from beginning Kemetics to where we are now. 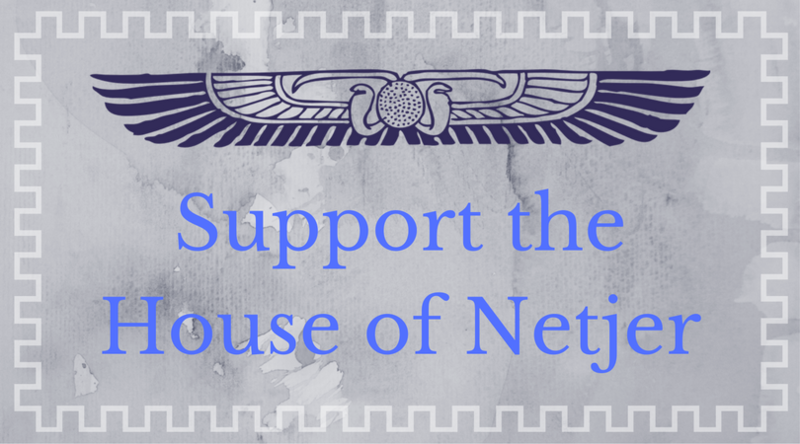 I’ve written pretty extensively about how things have changed since coming to the House of Netjer. I’ve been blogging since early on in my journey, too, so a lot of these changes are chronicled in this blog. I don’t feel like I really have anything meaningful to add to what I’ve already written right now, so if you’d like to read about where I’ve been and where I’ve gone, you can read my posts tagged “My Journey“. There’s a lot of material there – please feel free to browse through it and learn from my mistakes. I’d much rather focus on the part of the topic that asks about what I have learned through trial and error — and what I do differently now. When I think of the way my path has changed over the last eight or nine years, there is one thing that jumps out at me immediately: locus of control. Basically, locus of control is a fancy way of talking about perceived responsibility in a situation. Is it me who creates my own circumstances, or is someone else in charge? When I first became Kemetic, my religious locus of control was way external. The gods were in charge of everything. Did I want to offer Them a fancy stone? No, They wanted me to offer it to Them. Did I feel like I should read about Wepwawet? No, He wanted me to read about Him. Everything was Netjer-directed and I bore little to no responsibility for what I sought from my relationships with the gods. For example: when someone feels “drawn” to purchase an expensive, pretty offering in spite of having significant bills – how much of that is the will of the gods, and how much of that is the devotees desire to have a shiny offering on their shrine? Even if the gods do truly want that offering – do we really believe that the gods are selfish enough to demand that Their devotees go bankrupt for Them? What purpose would that serve? That kind of thinking can spread to practical actions, the kinds of offerings you give – it can completely rob devotees of their personal agency in their Kemetic practices. And yet we sort of encourage it by valuing a deep connection with the gods. Make no mistake – you can have a deep connection with the gods, and still be in control of your relationship with the gods. Back when I was new, I was all about the gods being in charge. The greatest thing I have learned in the last 9 years is that while the gods might be huge, powerful, demanding, and guiding my life in mysterious ways — They also don’t control me, and I am allowed to work on Their requests within my own boundaries and my own limitations. The biggest thing I wish for any new Kemetic is for them to find that balance between listening to their gods, and being in control of their own practice. Previous Post KRT: On Priesthood.